As a Life insurance Agent in Jerseyville since 1977 I have learned that there are a number of great websites and other resources that offer insightful investing and insurance tips. I often see myself as a General Contractor to help my clients in their financial needs. I work closely with several Accountants, Attorneys, and Investment Experts who specialize in specific areas that are essential to what you and your family are trying to accomplish. It is important to take advantage of this information and use it when navigating the best route in this field! There are a lot of sites that overwhelm the reader or try to sell you a product or service you don't really need. The sites on this page are all ones you can trust...and that I endorse! I am a member of Genesis Financial Group in East Alton IL. Genesis in specializes in Wealth Management and Safe Money Solutions. I work closely with Jones Elder Law in Godfrey IL. Their website will share additional information about the benefits that are available to veterans and their families. 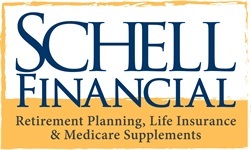 This site has been very helpful for me in deciding how much life insurance coverage you need. Need to find an expert in graphic design? Todd Simpson helped me put together this site and also specializes in small print marketing materials such as mailers, business cards, flyers and more.